Vauxhall Corsa Interior, Sat Nav, Dashboard | What Car? 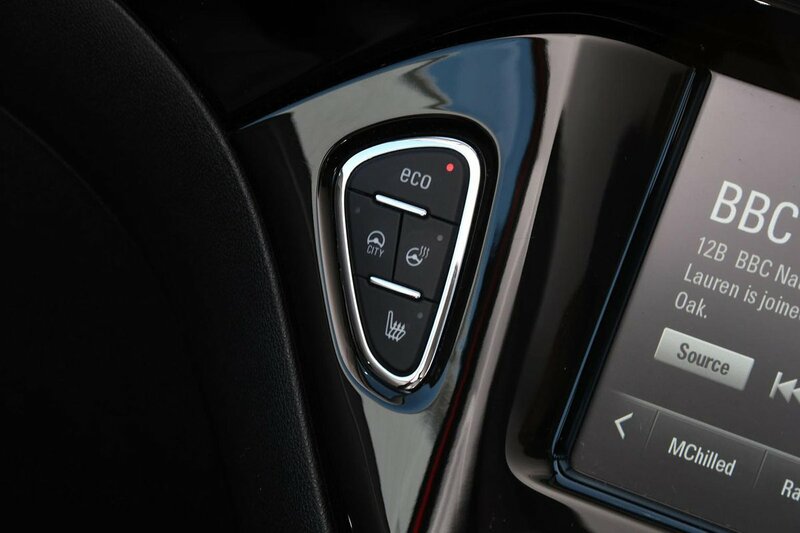 Chances are you’ll find it relatively easy to get comfortable in the Corsa. All versions have a steering wheel that moves for both height and reach, along with a height-adjustable driver’s seat. The seats don’t hold you in place particularly well through corners, though, and – while the sports seats that feature on the racier trims are better in this regard – they still don’t provide much in the way of lower back support. Adjustable lumbar support isn’t available, even as an option. The dashboard is mostly logical, including the heating controls, which feature big, clearly labelled buttons and dials. The Corsa’s thick front window pillars are rather raked back, so your view out of junctions is more obscured than it is in, say, a Fabia or Polo. Similarly, chunky rear pillars hamper your over-the-shoulder view, although the same is true of many rivals at this size. Only range-topping SE Nav models come with parking sensors (both front and rear) as standard, although you can add these to lesser trims for a reasonable fee. You can also pay extra for a rear-view camera on most trims. The Corsa Active has a very basic FM/AM stereo with a CD player, Bluetooth and a USB port. Its tiny display means lots of scrolling if you have a hefty music collection or loads of phone contacts. 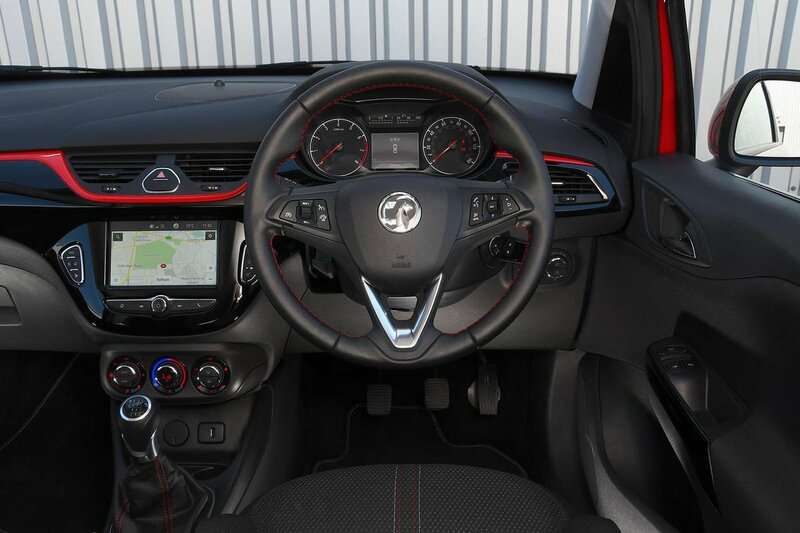 Every other trim level gets Vauxhall’s Intellilink infotainment system with a 7.0in colour touchscreen. This includes a DAB radio, but its main trick is to function as an extension of your phone, whether Apple or Android, thanks to smartphone integration. The system isn’t as intuitive as that of the Polo or Ibiza, though, and there is sometimes quite a long pause between pressing the screen and the system responding. Sat-nav is an available on most tims, but we wouldn’t bother with it. It's better to use the smartphone mirroring feature and a navigation app on your phone for directions. 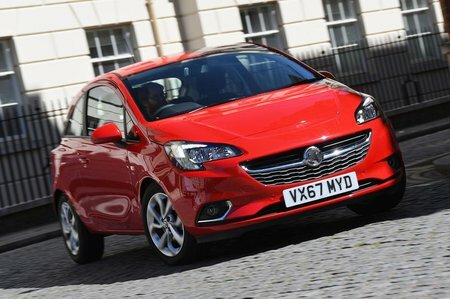 A variety of textured materials include gloss-finish trim and cushioned rests on the front doors, helping the Corsa’s interior to look smart and preventing it from feeling too cheap. It’s much classier inside than budget options such as the Dacia Sandero and Ford Ka+, for example. That said, perceived quality is a long way behind that of the Ibiza and Polo, and even the Fiesta has the edge over the Corsa for general interior fit and finish.